Because of the bad weather expectations, heavy rainfall, I decided to go to the TW Classic festival late in the afternoon. Too bad I couldn't see Triggerfinger and Seasick Steve, especially Steve is always doing a nice show. So I got at parking lot A5 around 18.15 pm. A bit strange that A5 was not mentioned on the TW Classic website as one of the parking lots, please update that guys! From A5 it's a 20 minute walk to the entrance of the site. I noticed the golden circle entrance and got my wrist band to make it all the way to the front section. There was a massive crowd on the field already enjoying lots a foods and drinks. I walked around a bit, look at the merchandise and got another t-shirt and went to the FOS. I found an empty golden circle, there were maybe 200 people sitting first row! It was easy to find a good spot. Simple Minds put on a good show. Jim Kerr has grown a lot, but the old songs from the 80s brought back memories and that's always nice. Shortly after 22.30, by this time the FOS was really crowded, all the VIPs had left their drinks, the Stones came on with JJF, YGMR, IORR and TD (great opener!) before slowing it down with Wild Horses. 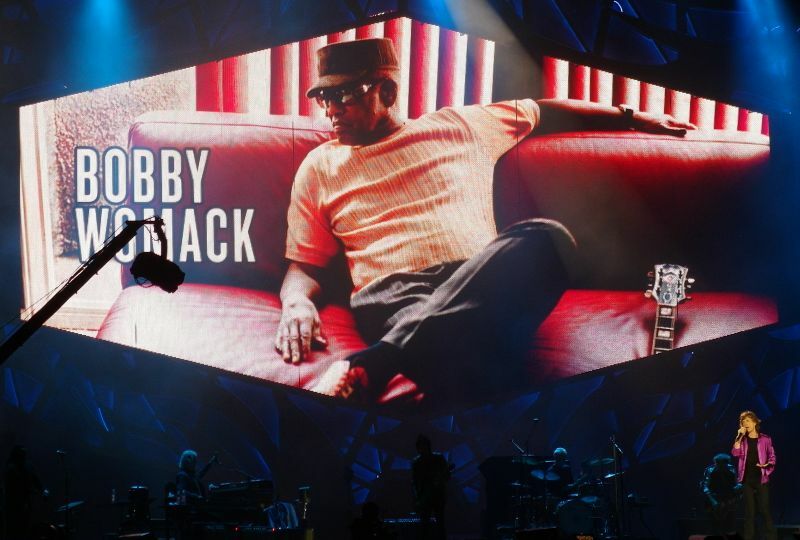 We got It's All Over Now as a tribute to Bobby Womack, a very respectful thing to do for a good friend! Mick was all over the stage, talking Dutch, saying things about the 'rode duivels' (the Belgian soccer team), he has so much energy and it just keeps amazing me. Band intros and Mick introduced Chuck after Ronnie! Keith played Silver and Can't Be Seen, like the first song better, but 2 Keith songs is better than 1 J. From there on it's all the greatest hits and they were brought with energy and great play. Mick Taylor impressed me again on Midnight Rambler and Sympathy For The Devil is just a magical song! The encores, YCAGWYW and Satisfaction, finished the night and with a final bow they left the stage. Thank you Stones!!! The crowd was like myself seven years older vs. last time The Rolling Stones visited Werchter at the European Tour start opening on June 5, 2007. 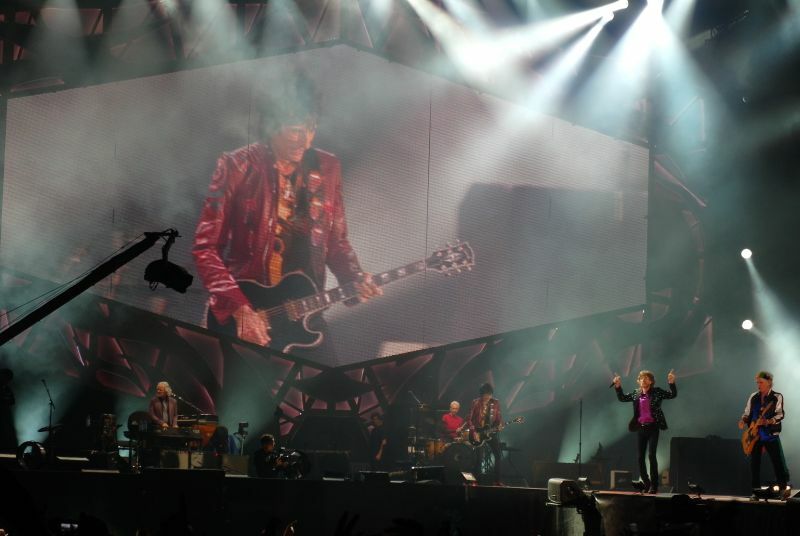 While the backdrop was rehearsals at Vilvoorde back in 2007, this time the Stones came from unique venues in Rome and Madrid. 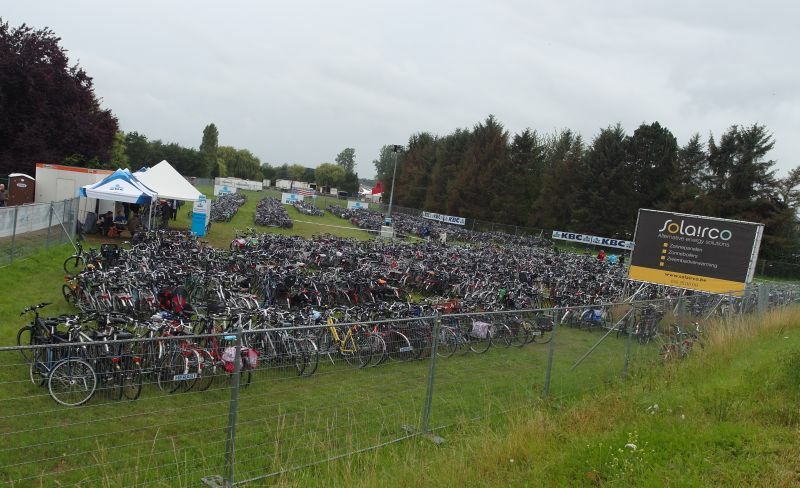 I wish they could come up with a similar venue next time the Stones visit Belgium. The weather forecast said may be some rain. The poncho I had brought but never used on tour this summer was in use tonight, but not really desperately needed. Slight rain did not bother the fans, but the stage got wet and Mick could not do his usual race acrosss the stage during "Brown Sugar". He did some sort of a fast walk halfway. The weather was ok until they started "Midnight Rambler", but it started to drizzle right when Mick, Ronnie and Keith came down the extended front ramp for "Miss You". "Simple Mind" were the final act before the Stones hit the stage, performing from 8:00pm to 9:25pm. They had a muddy sound. I missed the sharp and clear sound from their previous Werchter warm-up appearances. Also, they seemed to suffer from the same additional seven years of age may be. Even how much I do love Simple Minds, this was not as great as I had hoped for. Then an hour or so cleaning the stage, lots of water to be taken off, and at 10:33pm, three minutes past the announced "Stones on stage" time, the show was on. Mick saved his voice tonight. There was a lot of assistance from the backing vocals on the first four songs, especially on "Jumping Jack Flash" and "It's Only Rock'n Roll". 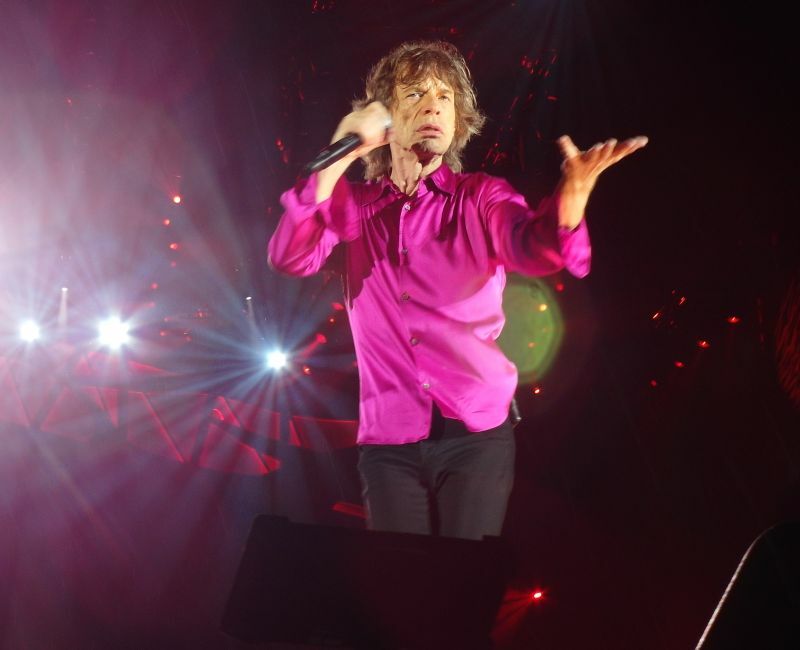 May be that is the way to do it, to make sure there are no worries for the remaining two shows, but with all the great power Mick has been singing with at the previous shows, it was pretty different. Still, on "Wild Horses" he was up front of the stage with a strong and great voice. Thanks Mick! 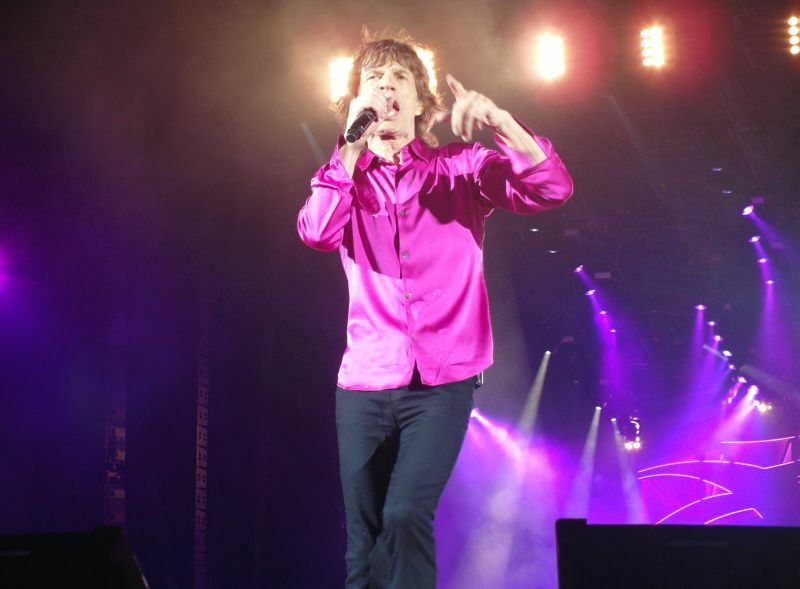 Last time the Stones performed at Werchter in 2007 they performed "It's All Over Now" on the B-stage. This time we got "It's All Over Now" once more at Werchter, at the "request" spot in the set list. The band paid tribute to Bobby Womack, as we got the sad news about him passing away the day before this show. The hightlight of this song was a great guitar solo by Keith. He stepped up front and played the guitar true to the original. Thanks Keith. I liked it! Mick closed the song by saying "Thank You Bobby!". Forty minutes past midnight the show was over. Mick rushed the four together for the final bow. Then we started the long walk home. One hour later I was sitting on the train at Leuven station, on a special train they changed 17 Euro per ticket for, five times the normal price of 3.10 from Leuven to Brussels. We were still sitting on the very same train on the very same station one and a half hour later, as they announced the last bus out of Werchter was on it's way. I was back "home" in Brussels by 4am in the morning, while I am sure some are still wandering around among the corn fields and cows out there at Werchter. The Werchter festival site looks at the same time bleak and pictoresque, as it's located in a typical flemish countryside setting. It's quite isolated, but the bus company organized an effective transportation service form Leuven. After entering the venue, I was so unfortunate to came across some of the most stupid, dull and unpolite people I've ever met in a Stones concert. Basically, these guys raised a pointless argument over a spot close to the barrier front of stage. I didn't want to argue with them, so I didn't really question anything that they said, but I wanted them to explain the reason as to why they were so rude and unpolite. One of them said that's the common attitude among Belgian people. Go figure! I said "congratulations to you!" and moved on a few meters away, where I joined forces with two very nice couples, one from the Netherlands and the other from Hamburg, Germany (Hi Ralph!). Anyway, I sensed that the audience would not be so great and that the atmosphere was not going to be so enjoyable as in Zurich, Paris or Rome. The weather was rainy at times, but not so bad as I feared. As I was ultra- prepared to much worse weather conditions, I had no problem at all with the showers coming from time to time. As per the opening acts, that Arno guy seems to be very popular in Belgium. His songs are not so bad, but he didn't impress me that much. Triggerfinger is another Belgian act which got a great response by the local crowd. I think the last two songs of the set were good, but beforehand the performance seemed to much forced and too much "over the top". Simple Minds were good enough. The first part of the set was very strong, the second part, however, turned out to be very boring. And then the Stones came on stage. The band pulled out a very strong performance, consistent with the overall very high level of the concerts of the current tour. "Jumpin' Jack Flash" was really strong, "You Got Me Rocking" was OK, and "It's Only Rock'n Roll" was maybe the best I've heard this year. Keith's solo was really, really good. "Tumbling Dice" was ok (especially if you enjoy Ronnie's "noise" approach to the solo), and "Wild Horses" was very good. After that, we entered into the most interesting part of the concert. "Doom And Gloom" and "Out Of Control" were both superb and very energetic (in both case, the best renditions of these song I've seen in this tour). Between these two songs, "It's All Over Now" was a nice surprise, even if due to the sad circumstance of Bobby Womack's passing. That song was very well performed by the boys, and Keith's solo in that number was unexpectedly good! The first part of the set ended with an excellent "Honky Tonk Women". After the band's introductions (with Mick forgetting to introduce Chuck Leavell in the first place! ), Keith sang a very good "You Got The Silver" and after that performed "Can't be Seen", which was a complete mess, due to Keith's not caring so much about the lyrics. Fortunately "Can't Be Seen" ain't no "Gimme Shelter", so nobody really cared about the poor rendition of the song. After that, Mick came back with Mick Taylor for a stratospheric Midnight Rambler. That song – which has always been number one in my book – just keeps getting better concert after concert, and Mick Taylor's performance in Werchter was nothing short of incredible. That makes me wonder how much of a musical war machine would this band be in case more space were given to Mick Taylor's contribution, but this topic has already been stressed over and over again. "Miss You" was infectous as usual, and I noticed Mick playing some very tasty funk guitar chords right before handing the guitar over to the roadie. After that, "Gimme Shelter" was very well played. There were just a few issues with the chord progression when Mick and Lisa were on the runway, but I guess that very few people noticed it. "Start me Up" was great,even if Ronnie deliberately plays a messy solo just like he uses to to in "Tumbling Dice", and "Sympathy For The Devil" was really excellent, maybe better than in Rome (where I particularly enjoyed the song). 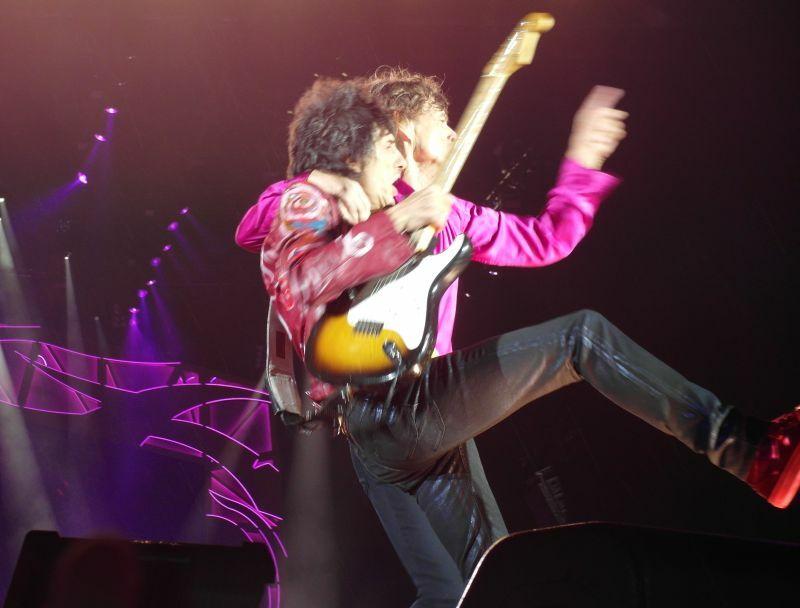 Both Keith's solos were really very good. After that, although the opening riff was far from perfect, "Brown Sugar" went off really well, and also "You Can't Always Get What You Want" and "Satisfaction" were both excellent, as usual. Performancewise, this was undoubtely a very very strong concert, probably in line with the one in Rome. As far as the atmosphere is concerned, however, the crowd was not so great as in other occasions. That being said, the band proved once again to be in a very good shape. As this was the last concert I see on this tour, I'm very happy that it was that good. 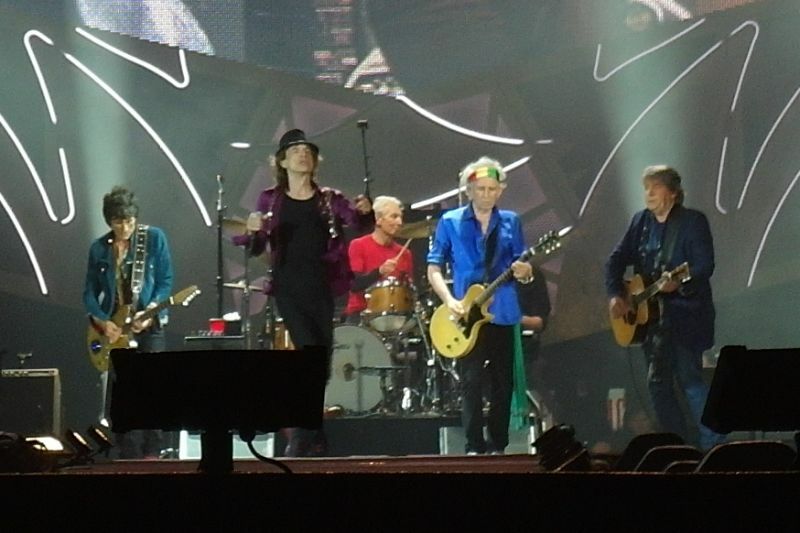 In this tour the Rolling Stones amazed me once again! Thank you guys!! I expected and was looking forward to two songs: Midnight Rambler and You can't always get what you want. And was hoping for Out of Control. I got all three. Performed in awesome ways. So great to see and listen to Mick Taylor for the first time since the Brøndby-concert way back in 1973. Wild Horses was another highlight with Mick singing his very best. Beautiful. It's All Over Now was of course a big nice surprise (though of course due to sad circumstances). Very well played. And so was Doom & Gloom. Not a favourite but it rocked well above its rather average status in the Stones-catalogue. You got the Silver was the last among my favourite songs from the concert. The rest was great. Keith hit the right notes. Mick was brilliant. 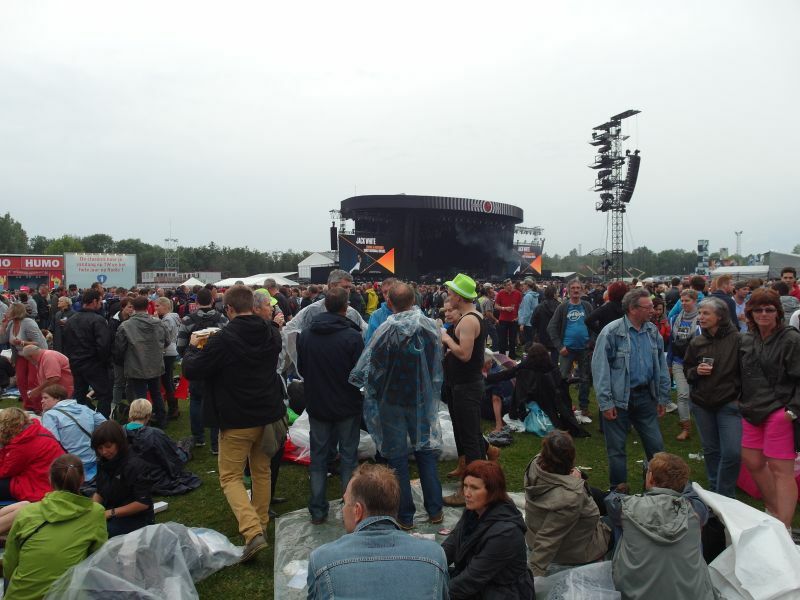 I attended Werchter with a person, who had never seen the Stones before. Yes, those people do exist even after having been alive for more than five decades. No real expectations before the concert. Just curiosity. After the show: Love was just a kiss-away. Love for the Stones (and more love for me). She simply couldn't believe what she just experienced. In a way just like myself: You simply have to be there in order to understand. To enjoy. To smile. None of us will ever be too old to rock n roll. 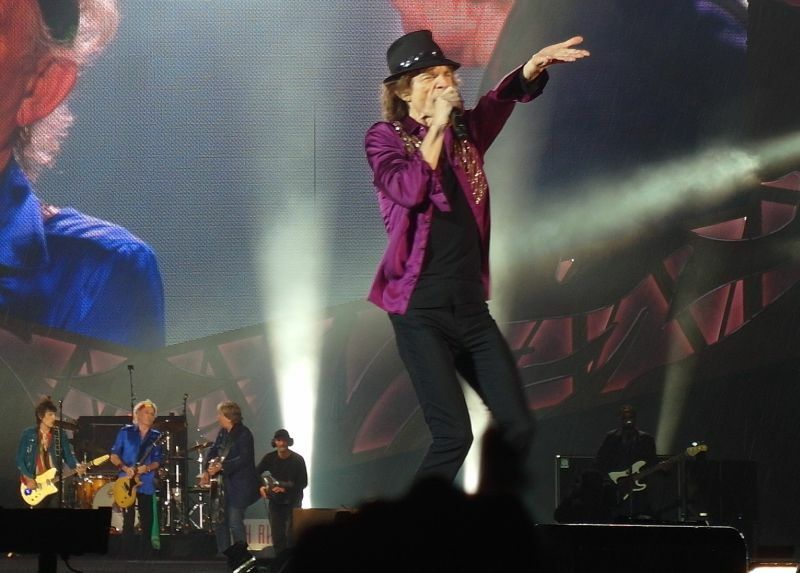 Few – or none - will ever perform like the Rolling Stones after five decades on the road! It has been awhile since I got back from my European vacation (today is July 23 as the show was on June28).The show was outdoors and it reminded me when Pan&the Pirate played my home city of Moncton at "Magnetic Hill". I had always wanted to see/hear Mick Taylor even though he just played on 2 songs. I thougt to myself he still got his chops. 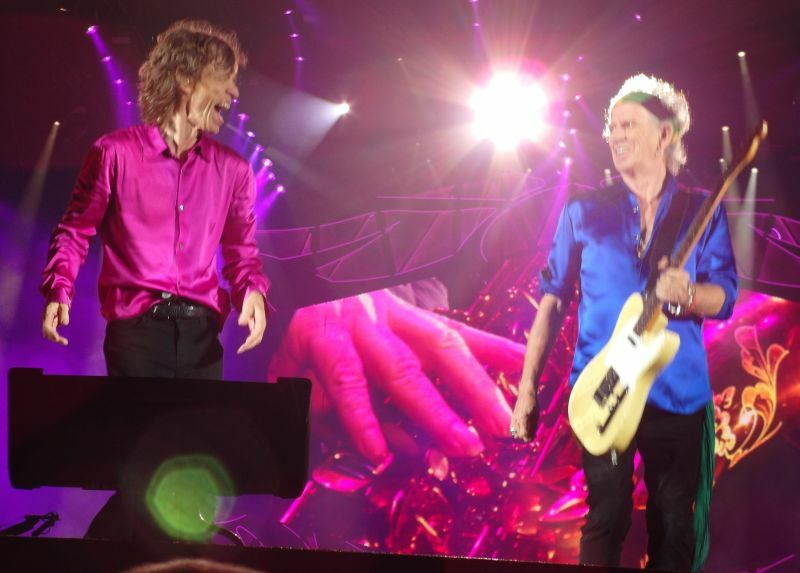 I have seen the Stones many shows but I could not see the tour when they played in US & Canada I had a mini-stroke and was actually in the hospital on my birthday Dec 13 2012 and I thought I'll NEVER see them again. So when I heard the sound in Belguim I said is this going to be really special. The sound was amazing!!! Lighting was superb. I found that Jaggers voice was clear and you can always tell when Pan is right on the money. For me what songs they played what mistakes happened is irrlevant because its is the Rolling Stones; although no mistakes by Charlie (does he ever?) Doom and Gloom sounded A1. I met an old friend walking into the show we talked for a bit and I have not seen him since the show in Moncton. All I can say is the show was par excellance. As far as the weather went WHO CARES! !